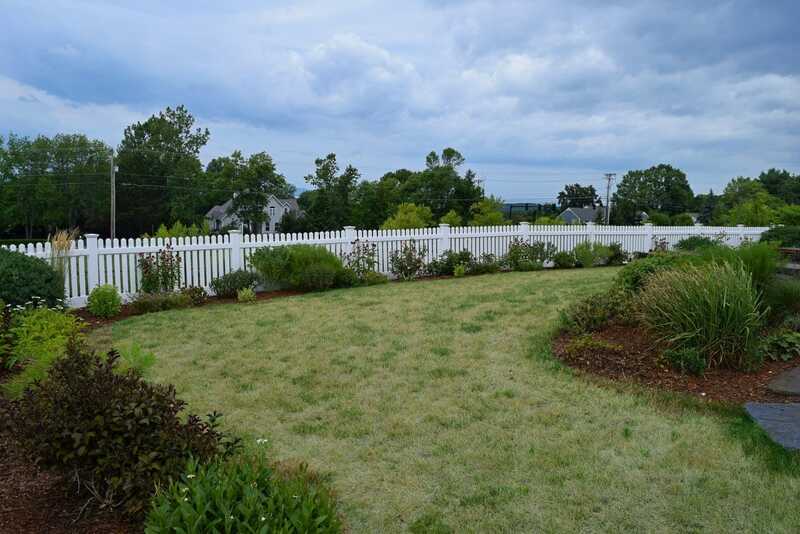 When we first headed out to her home, this client had a great foundation for a gorgeous landscape. 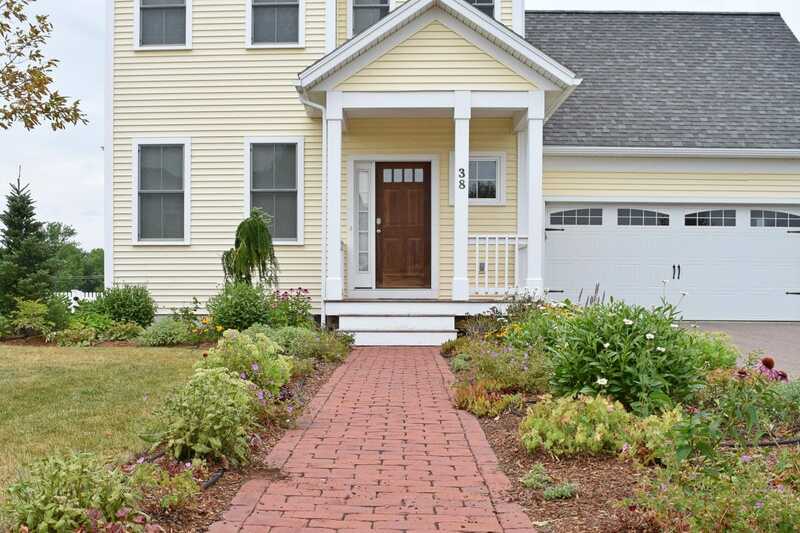 They had well-built rock walls and a patio in their backyard and a lovely brick path leading to their front door. 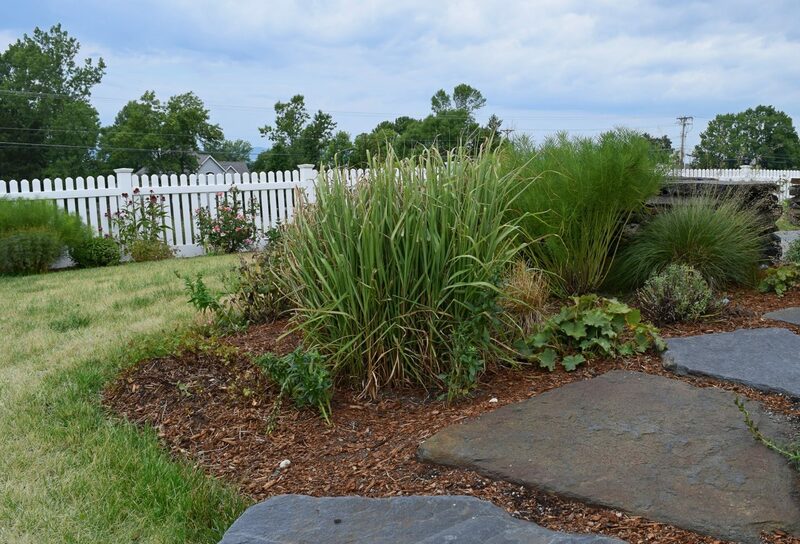 We didn’t need to hardscape at their home, but they were looking to create big gardens throughout the property with color, color, color. 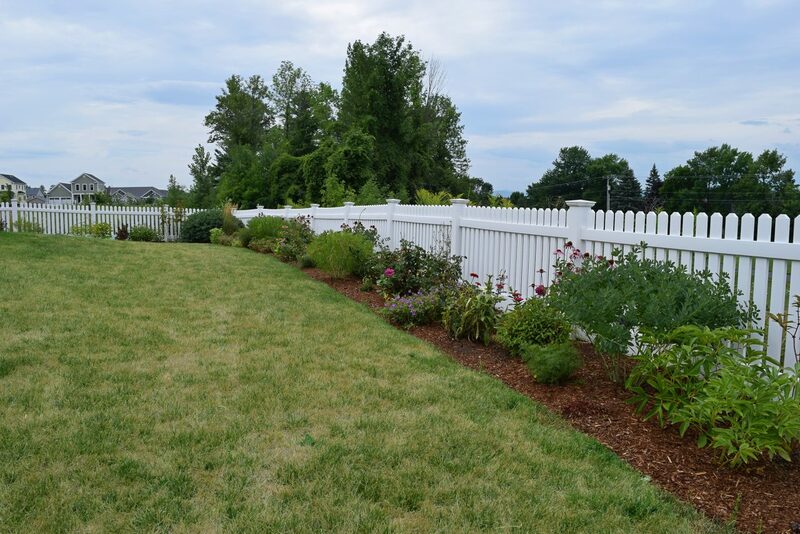 We created a variety of perennial beds in the front and back part of their property with varieties that bloom from spring to fall. 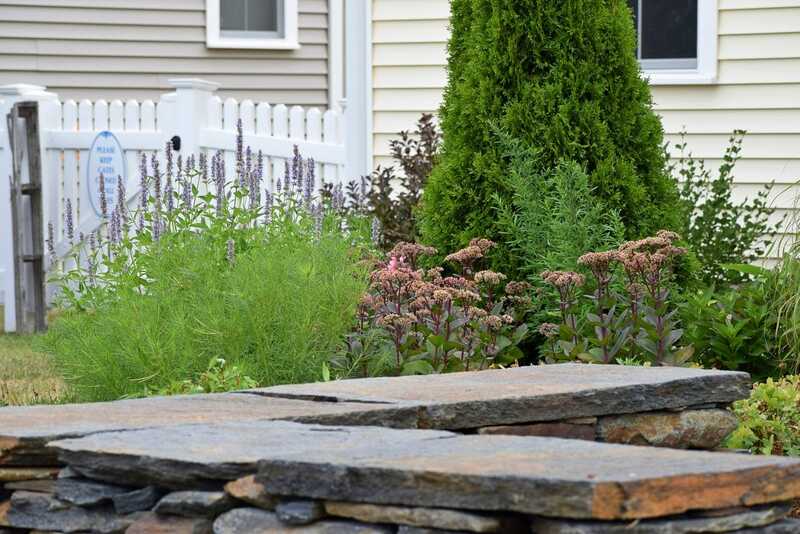 We also go to their home each spring to plant long-lasting annuals to the garden beds to make them feel more full and to help extend that big color throughout the season. We went out there a couple of weeks ago to capture the beauty in the late summer. We hope you enjoy the gardens as much as we do! Once the full heat of summer hits, containers — especially those that were planted in the early spring — can start to look a little withered and sad. If you want to keep your containers fresh and looking healthy through fall, there are several steps you can take now to help. This is the most obvious and important step to keeping your containers looking healthy. 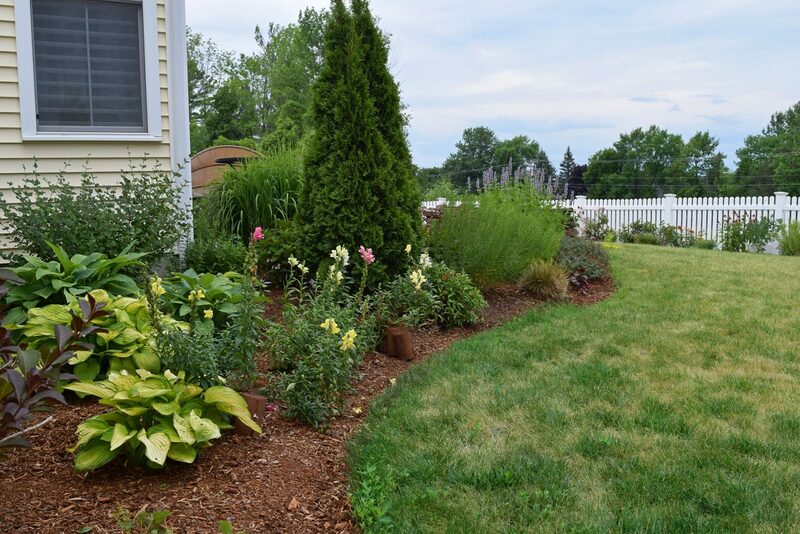 While in May we can get away with watering just a couple of times per week, once summer is in full swing containers should be soaked pretty much everyday (or every other day) depending on the rainfall. 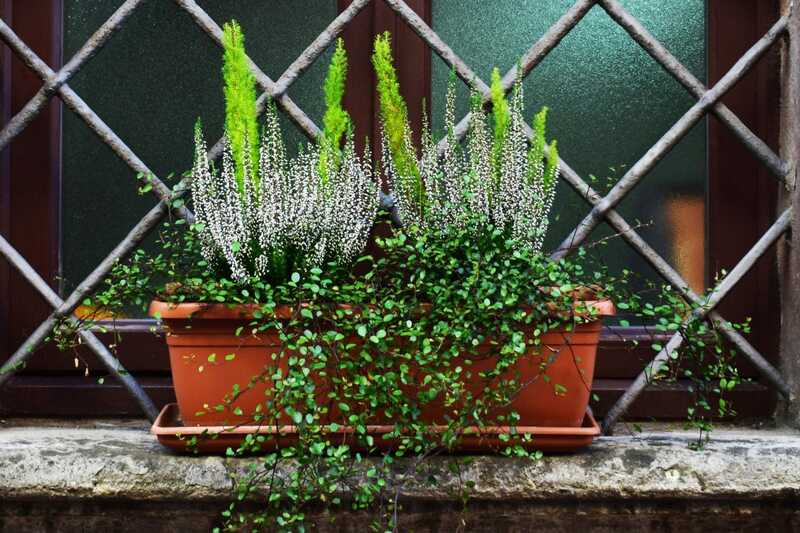 Also, keep in mind that even if it rains, foliage in containers can be so dense that the rain may not reach the soil or roots of the container. Make sure to check the soil every day and if it feels dry, give the container a good soaking from the soil level. In general, the more you fertilize your containers, the more vigorous the plants will grow. In summer, you should cut back fertilizing a bit as you don’t really want too much more growth (or the plants could get leggy). 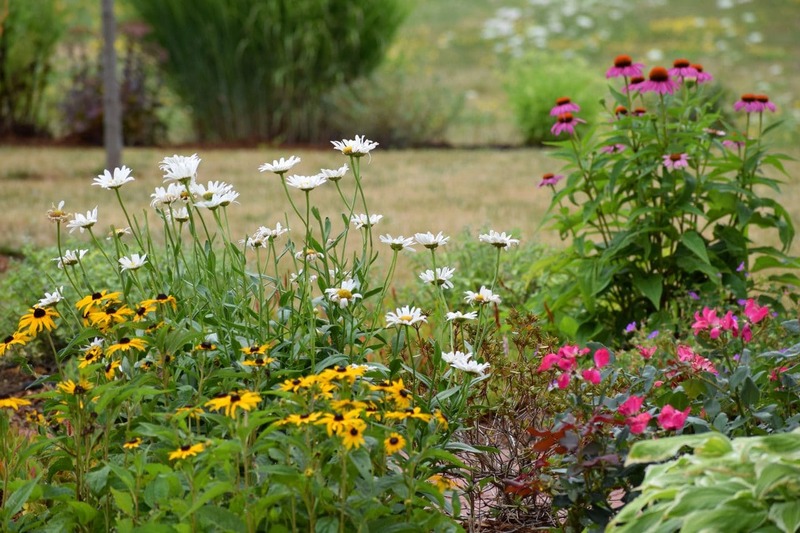 In summer you’re really looking to fertilize to help maintain healthy blooms and strong plants. Use a slow-release fertilizer that gives nutrients to your plants over a longer period of time instead of dosing them all at once. Also, use an organic and balanced fertilizer, like a 20-20-20 for an even amount of nutrients. If the summer sun is drying out and frying your containers, consider placing them in an area with dappled or partial sunlight. You don’t want to take a sun-loving container and place it in a completely shady spot, but relocating it to an area with morning shade may help the plants last longer. 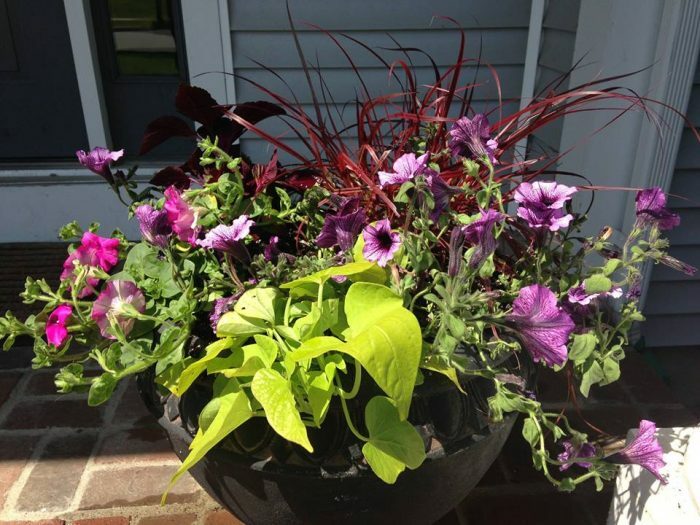 Deadheading is an important task that helps keep containers blooming throughout the season. As soon as a flower starts to brown, clip it off just above the stem break. This allows the plant to put energy into producing more blooms instead of going to seed. If you’ve been deadheading and your plant still looks sad and overgrown, you may want to cut it back more aggressively. It may seem scary, but cutting varieties like Salvia back by 1/3 when they start to look leggy will help them maintain a good shape and healthy blooms throughout the fall. A good rule is if the plant is looking so bad you aren’t enjoying it anymore, try cutting it back by at least 1/3 as a last-ditch effort. If it doesn’t bounce back within a week or so, you may want to replace it. As much as we put in the work to keep our annuals looking good throughout the season, sometimes plants just die. That’s ok — as gardeners, we’re used to it. But instead of ditching the whole container completely, you can replace the sad plant with something healthy and refreshing. This time of year, many local nurseries have their annuals at a huge discount (some even up to 80% off) and they’ve been working to keep the plants healthy for months. 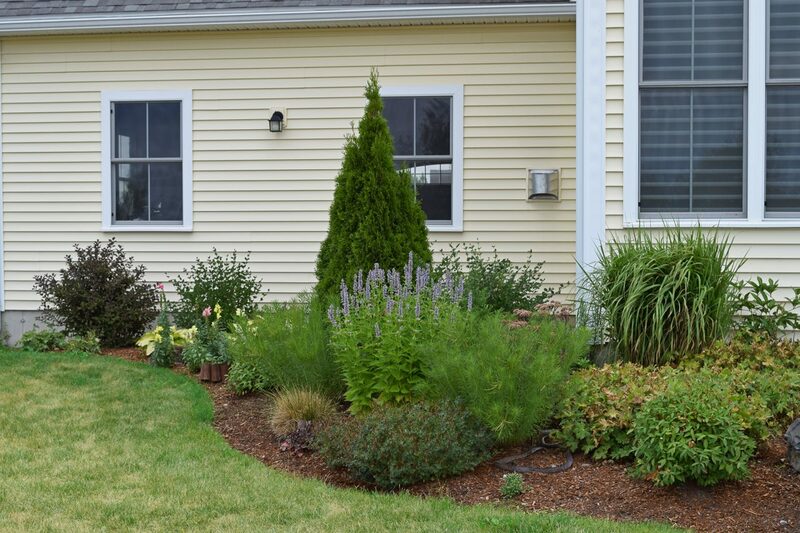 If you have the budget, head out and purchase several new annuals to fill in where your old plants didn’t make it. 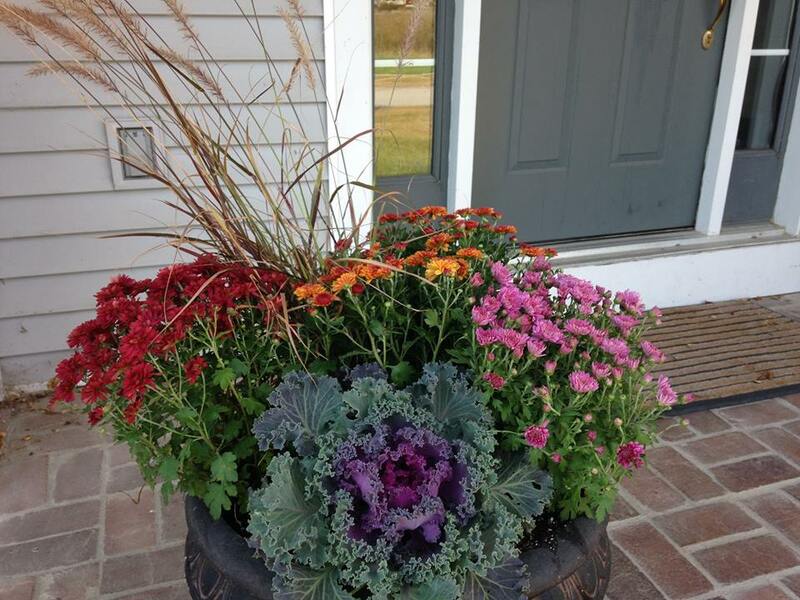 You’ll then enjoy a healthy container all the way through fall. 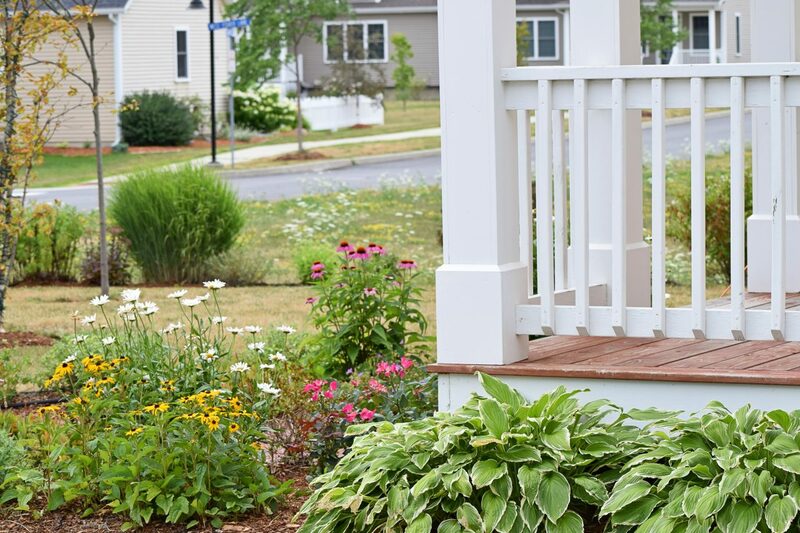 Containers are an easy and fun way to add pops of color in unexpected areas in the landscape, such as patios, porches, front entryways, and more. 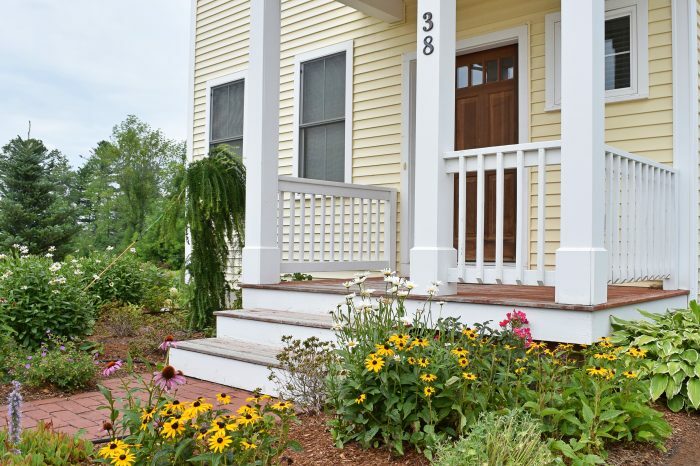 They can be changed each year with your style and with a little bit of maintenance throughout the season, can offer up blooms from spring all the way through fall.